Happy Holidays! A Free ebook gift! Fiona takes Lance out on a special birthday date to see one of his favorite bands perform live, but the fun’s put to rest when Unjustified Nostalgia reveals that it might be their last show. 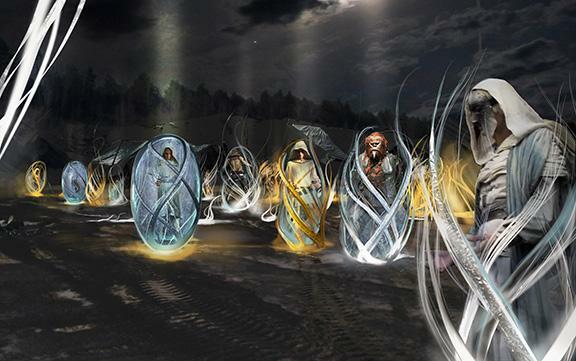 After a trip backstage, the band’s famed cyborg drummer has a request: help find out why the record label they were planning to sign with has suddenly gotten so aggressive. Can the band’s future be saved, or will they fade out once and for all? If you’re already a subscriber to my mailing list, you should’ve received instructions on how to download it straight to your inbox last night. If you aren’t subscribed yet, no problem! click here and sign up; once you confirm, you’ll get the details, too, no matter when you’re reading this. It’s a permanent freebie! And don’t worry if you haven’t read The Arcology or Eidolon yet; this story’s relatively free of spoilers, so if you like it, you can always go back and get caught up. Enjoy the story, and if you have any problems or comments, feel free to let me know! 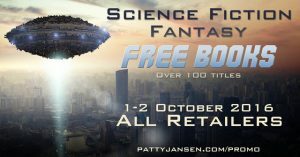 The Science Fiction and Fantasy Promo is now open! My readers, to celebrate the release of Eidolon, I’ve decided to make The Arcology free for a limited period of time. If you haven’t read it yet, this is your chance! You can pick it up for FREE this weekend from a number of retailers. But if you’ve already bought The Arcology, never fear; I’m not the only one participating in this promo. Dozens of other ebooks from my fellow independent authors are also available, in all kinds of sci-fi and fantasy subgenres. They’re all free, almost everywhere in the world, and who knows? You might find a new favorite author who you’d never have heard of otherwise. Just click the image below, select your preferred retailer and look over the list to see what strikes your fancy. I hope The Arcology is one of them! 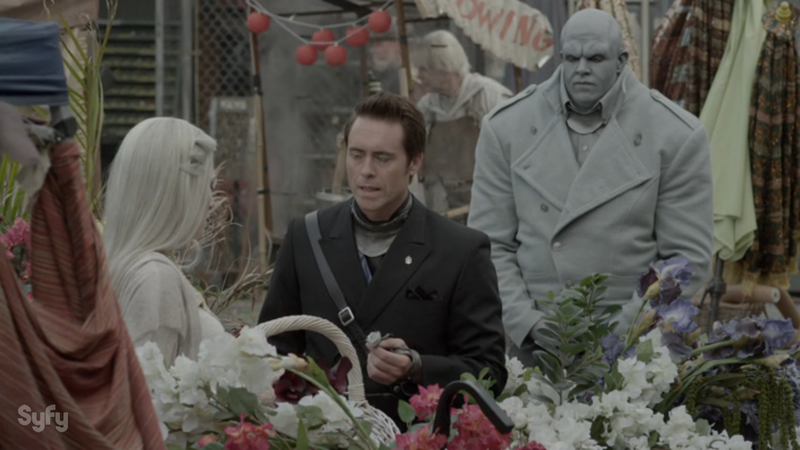 The second season of Syfy’s Defiance has ended, with a pretty good two episode finale. While I tend to focus on small moments in my reviews of each episode, I’d like to stop and look back now at the season as a whole. I feel this is the best way to gauge the quality of it, as things that didn’t really seem to contribute much before may have more to offer in hindsight. So, let’s take a look at some of the running storylines of the season and the new things that were added to try to see what worked and what didn’t. Needless to say, this is 100% spoilers. Proceed only if you’ve finished the season! 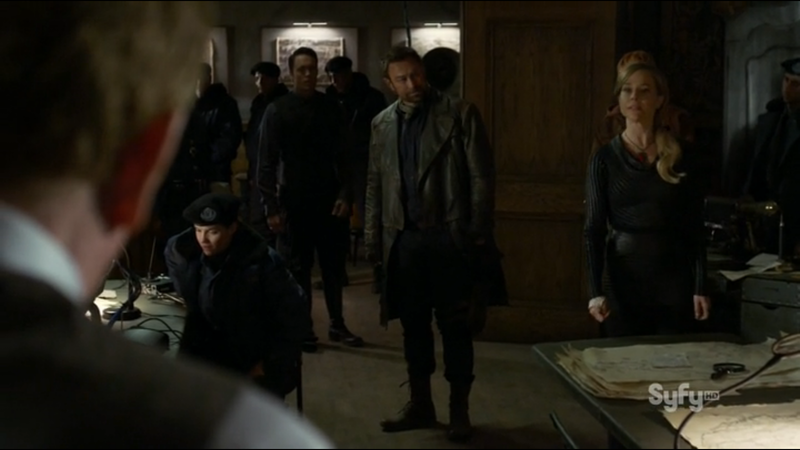 So Defiance‘s San Diego Comic Con panel was earlier today, and we got a few glimpses of the future, and some very mixed signals about whether the show will continue. Spoilers of varying significance for the rest of season 2 ahead.